With the Fourth of July just around the corner, the Consumer Product Safety Commission wants to remind consumers of the risks involved in setting off fireworks. At a Wednesday news conference, CPSC acting chairman Ann Marie Buerkle said an estimated 12,900 people suffered fireworks-related injuries last year, with 67 percent of those injuries occurring during the month surrounding the holiday. Moreover, sparklers were the number one cause of the injuries, accounting for 14 percent of cases. The CPSC says sparklers are more harmful than they seem. The CPSC website reads: “Parents don't realize that young children suffer injuries from sparklers. Sparklers burn at temperatures of about 2,000 degrees - hot enough to melt some metals.” If consumers are not careful, the CPSC said, sparklers can also catch on clothing, resulting in burns. 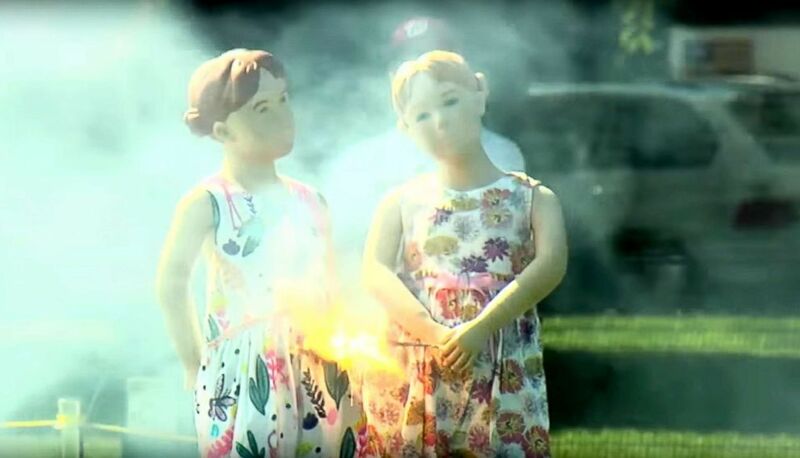 Mannequins are used to demonstrate the dangers of fireworks in the U.S. Consumer Product Safety Commission's 2017 Fireworks Demonstration video. The CPSC used a dramatic first-person example to remind consumers that injuries are possible even if fireworks are purchased legally. In 2015, Michael Spencer celebrated July 4th in Montana with his girlfriend and friends. What seemed like an innocent act of lighting off a firework, cost Spencer several fingers. 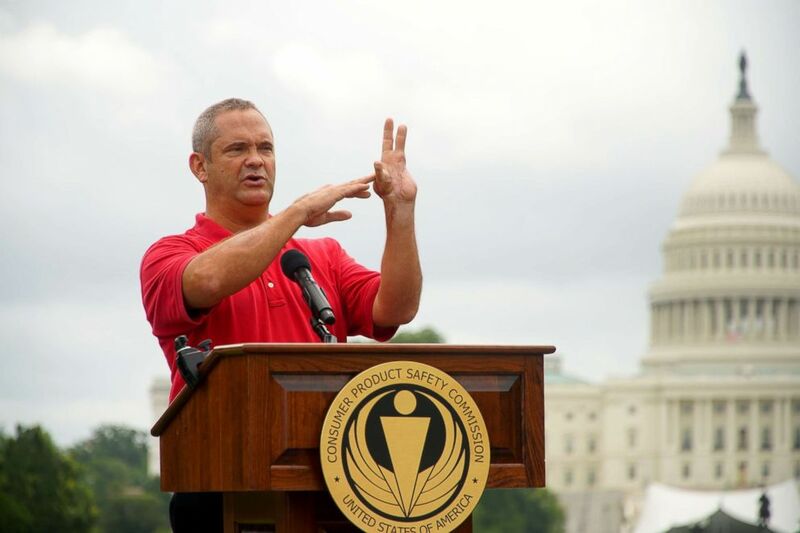 Firework victim Michael Spencer shares his story at the CPSC firework safety demonstration event, June 27, 2018, in Washington. At that moment, Spencer said, he heard his friends scream and saw blood gushing from his hand. He was airlifted to a hospital in Seattle where he would undergo 14 surgeries. Spencer says even though his life has changed, he felt he had also changed the lives of the people around him. The agency also held its annual safety demonstration on the National Mall Wednesday to showcase the dangers if fireworks aren't handled properly, showing how they can destroy mannequins and objects such as watermelons. For more information on firework safety precautions, view the CPC’s full fact sheet here.